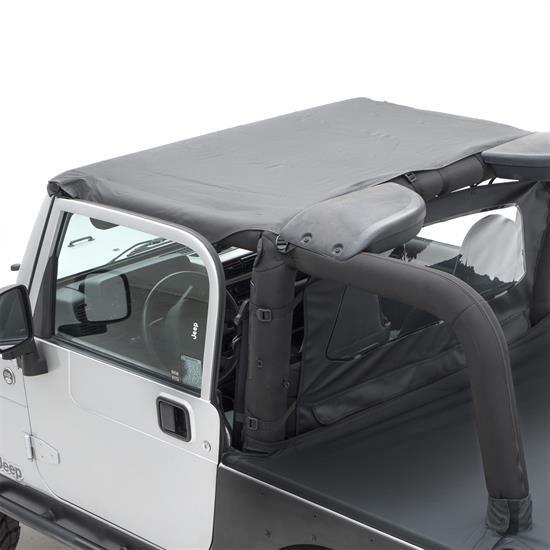 Outback Standard Bikini Tops new design eliminates rear straps, so they will not flap in the breeze or interfere with back seat passengers. Provides cover from the sun, but keeps your cab open to fresh air. Available in colors to match interior and exterior accessories.